When you think about grandmothers, qualities that come to mind are warmth, presence, unconditional love, comforting cooking… Moog’s Grandmother will give you all these, except it doesn’t cook! In this course, expert synth trainer Rishabh Rajan gives a deep tour of every aspect of this powerful eurorack-compatible synth. First, Rishabh explains how to initialize the front panel’s controls and get started creating your own sounds. Next, he reveals everything about the Grandmother’s oscillators, mixers, filters, and modulators. You learn to use the built-in arpeggiator, sequencer and vintage-style spring reverb, and you see them all in action. One of the highlights of this synth is its flexible modular capabilities, and this covered in great detail, with lots of practical patching examples. 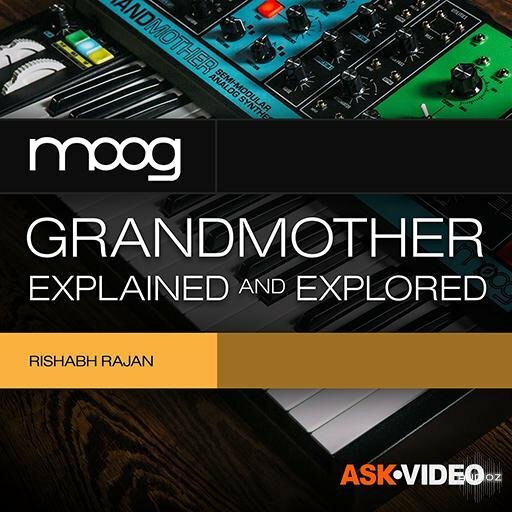 So watch this course by synth expert Rishabh Rajan, and reach the infinite sonic playground offered by the Moog Grandmother! Ask Video Moog Grandmother 101 Explained and Explored TUTORiAL has been exclusively released on AudioZ by Fantastic who chose to ask not to post mirrors.